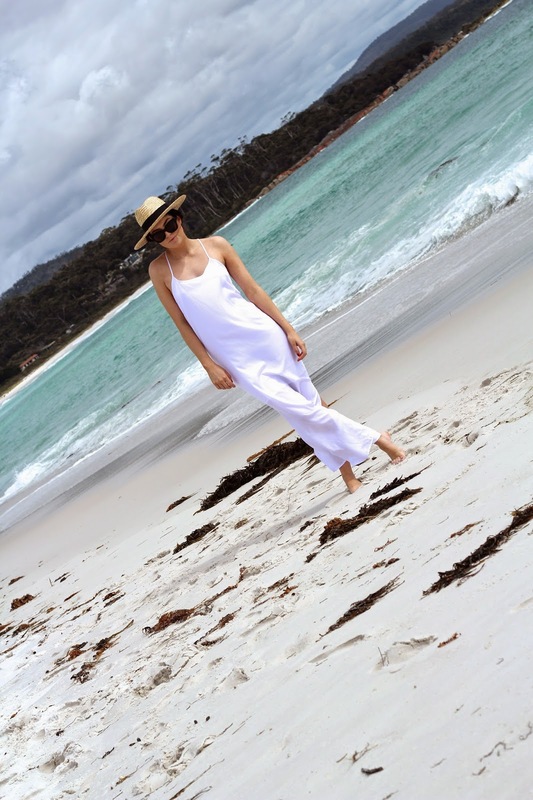 Going home for Christmas meant that I got to make the most of Tassie's amazing beaches! They're so insanely different to Sydney's beaches, it's crazy. As you can see in these photos, I pretty much had the entire beach to myself, which is something that would rarely happen in Sydney. It definitely makes going for a long beach walk, another experience all together. I highly suggest travelling down to the East Coast of Tas, there are some of the best beaches in the world that are hidden away, and you may even be lucky enough to have it to yourself! I thought this dress was the perfect summer beach dress when I first saw it. Nothing says summer days like a long, flowey, white dress.